From its founding in 1950 as a spin-off of the Norwegian radio manufacturers Radionette and Tandberg, SEAS has been dedicated to creating loudspeakers with superior sound reproduction. 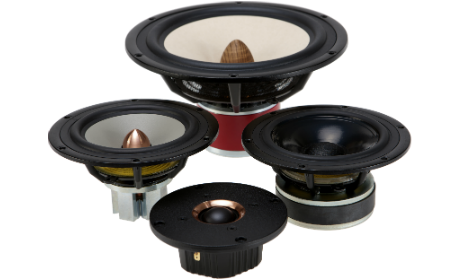 The company, whose name means Scandinavian Electro Acoustic Systems, has remained in the forefront of European driver manufacturers for more than 60 years. During this time, SEAS has evolved its products line - from a wide selection of standard drivers for radio and TV sets to the highly innovative customer influenced Hi-Fi drivers offered today. We also have more than 10 years of experience with the AV-market, and have since 2011 worked to establish the SEAS brand as an independent actor and supplier of high quality loudspeakers for this exciting segment. SEAS takes pride in the drivers it has tailored to meet specific customer demands and in the major role it plays in creating "The Breathtaking Sound Experience" of the contemporary Hi-Fi market. We are committed to offering products of the highest standard and the support services needed to meet the changing demands of the global market place. As a part of the world wide Sonavox Group, we can provide streaming and amplification technology to solve the needs of the modern audiophiles.